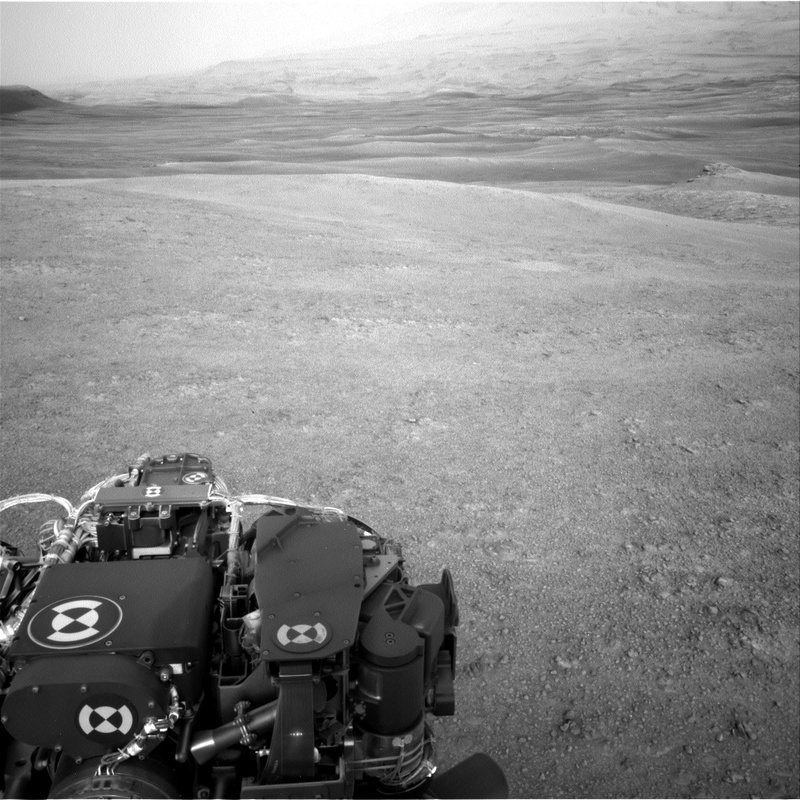 Curiosity is continuing the first phase of its journey to the "clay-bearing unit," the low elevation portion in the middle distance of this Navcam image with a series of "touch-and-go" driving sols. During these sols, the rover does contact science with MAHLI and APXS in the morning, some additional remote sensing as time permits, and then drives away to a new location during the afternoon. We want to closely examine the bedrock as we drive to help understand how the Vera Rubin Ridge and the clay unit are related. Today, "Melrose" was the target for contact science. Additional Mastcam and ChemCam observations were taken of other nearby geological targets. Curiosity is continuing to monitor a strong late-season dust storm that's increased the amount of dust locally for the last 1-2 weeks with Navcam and Mastcam observations of the atmosphere as well as an increased cadence of REMS meteorological observations.